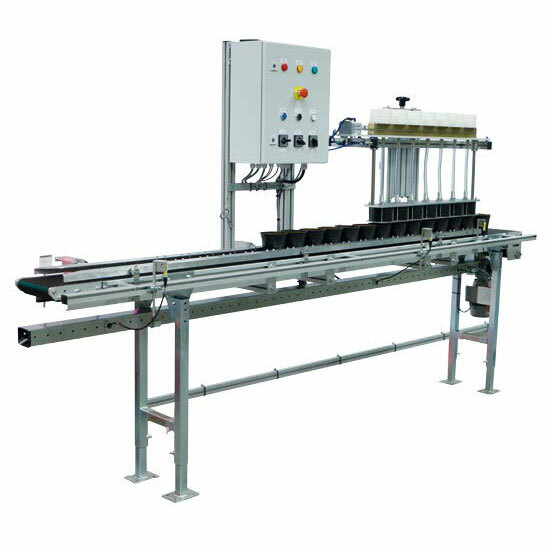 Visser’s Select-O-Mat Phoenix is an extremely high capacity grading and sorting machine. The Phoenix boasts a maximum capacity of 8,000 plants per hour. These capacity levels are a result of Visser’s innovative gripper technology. In this machine, 12 grippers work simultaneously, each driven independently. 1. The plants are pushed up to the camera and then turned 360 degrees. While rotating the camera takes 10 pictures, these pictures are then analyzed by the computer to provide accurate plant selection. 2. 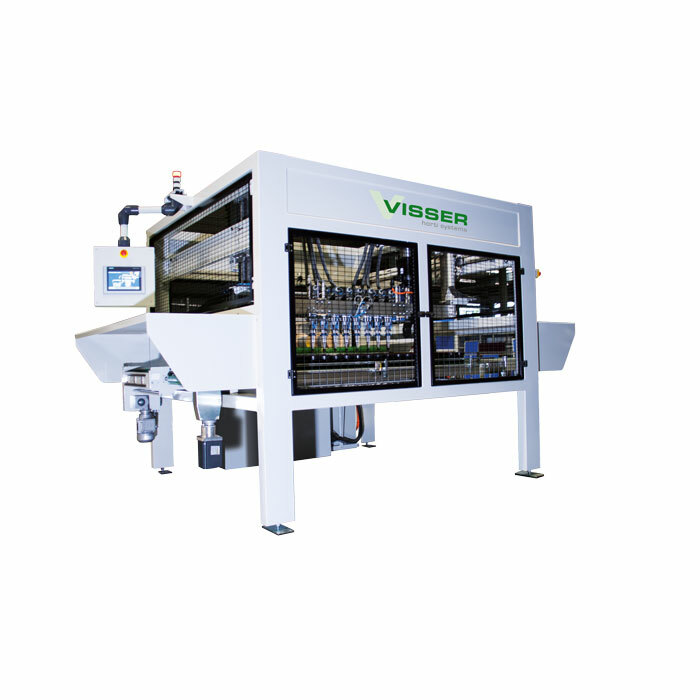 Visser’s gripper technology ensures even more stability while presenting for the camera. The new Select-O-Mat Phoenix provides you with the fastest, most reliable and most precise grading technique available. 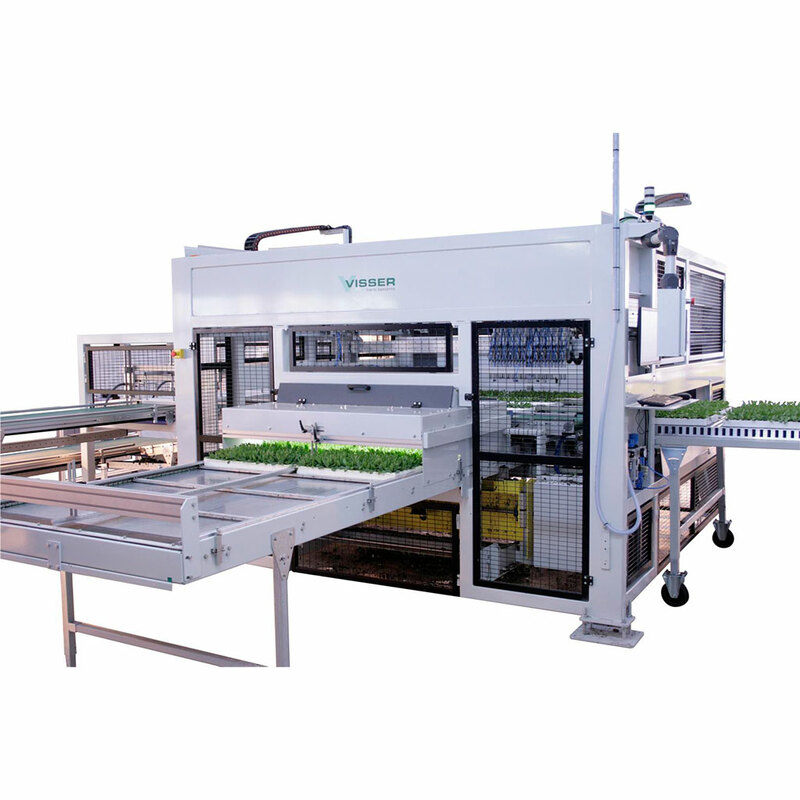 For more information about Visser’s Select-O-Mat Phoenix, please speak with your Bellpark Horticulture sales representative or contact us here.